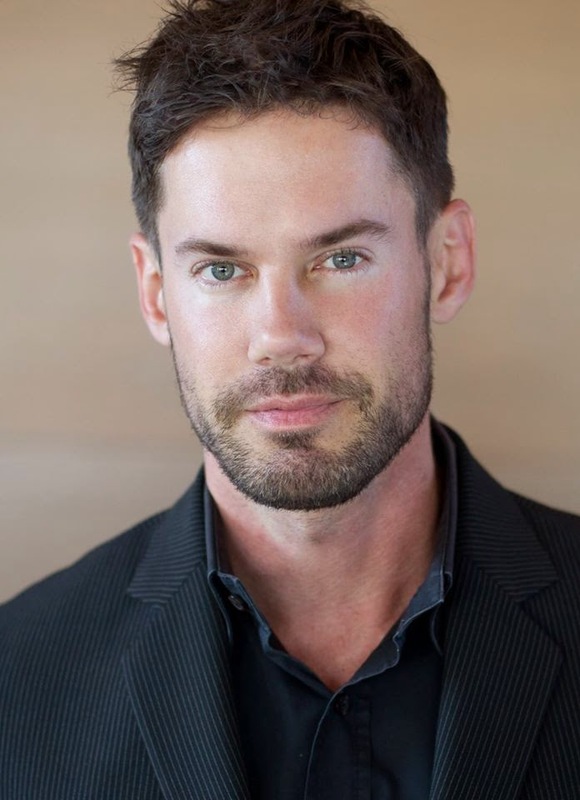 The first impression one gets when speaking with Luke McEndarfer is one of equal parts crackling intelligence, laser-like focus and deep intensity. Those elements are who he is and the talents he possesses are rare. The fact that he has dedicated himself to the cause of music education at a time when musical standards in schools are declining, is both remarkable and fortuitous. Few people could maintain a demanding work schedule that entails weekly transcontinental flights between New York City and Los Angeles, with additional trips to Washington DC. The story begins in the 1990s with his selection to serve as the Paulist Choristers of California’s music director. The Choristers were based in the parish school of St. Paul the Apostle Catholic Church in Westwood, where Sister Stella Maria Enright served as principal and founding board member. It became clear that drawing talent from such an exclusive source was a limiting factor, and with so much potential in surrounding parts of West Los Angeles beyond the St. Paul campus, Mr. McEndarfer and Sister Stella began to discuss the possibility of secularizing the Choristers and broadening the program. Over a period of time, plans were laid for changes to be made. 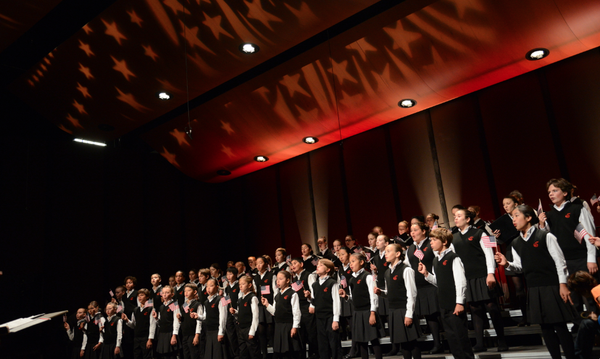 The myriad details involved in that change were aided and supported by parents of the existing group and ultimately, The National Children’s Chorus was born. The structure of the NCC is detailed below in a conversation we had recently with Mr. McEndarfer. LAOpus: Please bring us up-to-date on the status of the National Children’s Chorus’s various ensembles. 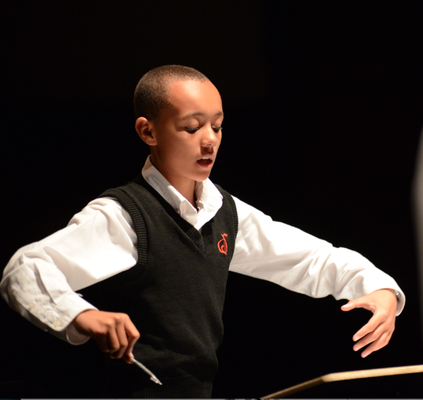 Luke McEndarfer (LM): The National Children's Chorus in Los Angeles is now structured with two divisions. We have a Senior Division and a Junior Division. The Junior Division is comprised of three levels: the Prelude Level, the Minuet Level and the Sonata Level. The Prelude Level focuses on students ages five and six and is strictly age-based. In other words, students who are seven years old cannot be in that ensemble and anyone who is five or six cannot be in any higher level, because our approach to that level is very much suited to kindergarten and first grade students. LAOpus: So they must enter at ages five or six? LM: Students may enter at any of the levels they qualify for based on age and skill so we could have a ten-year old child join right at the Sonata Level based on previous choral experience. We try to have a place within the levels for different ages and so on. Then we have the Minuet Level which is roughly ages 7 to 9 and then the Sonata Level for ages 10 to 12. We really try to establish the basics of vocal technique in the Junior Division. 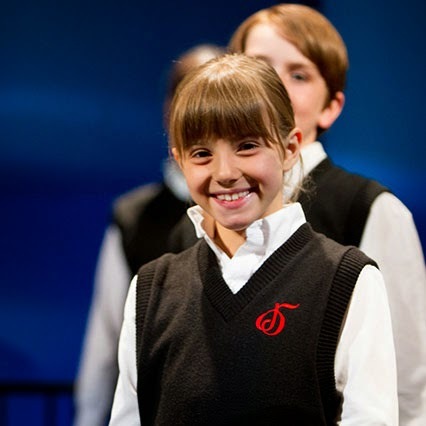 All students also participate in the Kodály music literacy program, so when they come to the National Children's Chorus they will see repertoire time with their conductor and also work with their Kodály teacher within our structured Kodály program which has been customized for the National Children’s Chorus. We have 12 levels in the Chorus of Kodály study. All of the Kodály classes are aligned at the same time so students can be in different vocal ensembles but take different Kodály classes. They test into a certain level and then advance through the system. 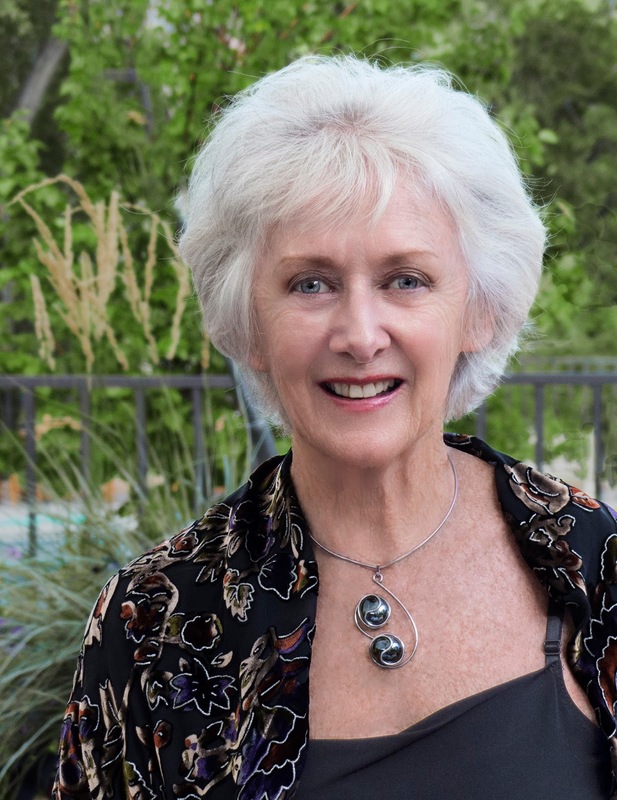 We also have a Senior Division of the National Children’s Chorus that is comprised of three ensembles: the Debut Ensemble, which is the first level conducted by Dr. Pamela Blackstone. It's the first level where students experience the professional stage and participate in a lot of professional performances that we do. We also then have the Premier Ensemble, which is the main concert choir. 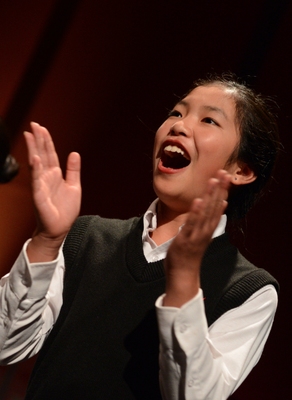 The Premier Ensemble is considered the large professional level chorus here in Los Angeles, with 60 students in it. And then we have the Scholars, which is a high school level SATB chorus. 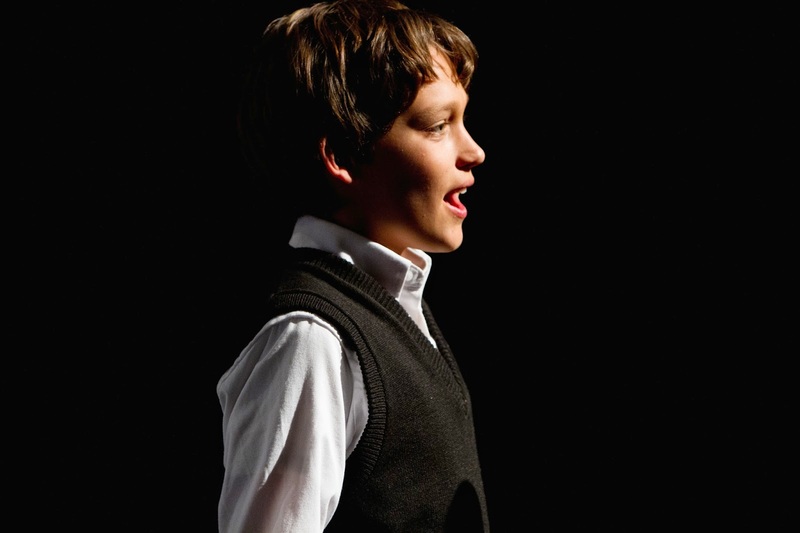 We have boys whose voices have changed into tenor and bass as well as the sopranos and altos. We no longer actually allow boy sopranos in that ensemble; that ensemble is strictly for high school students. The sopranos and altos are female students and the tenors and basses are male students whose voices have changed. That’s the structure here in Los Angeles. LAOpus: Let me ask you as to the amount of rehearsal per week. For a child in each of these levels, how much time would they be spending? LM: The time commitment and the level of intensity of the training increases as the child progresses. The Prelude Level meets on Sundays from 1 to 3 PM, with a two hour commitment. The Minuet Level is from 1 to 3:15 PM, so it's 15 minutes longer. The Sonata Level goes to 3:30 PM. Then in the Senior Division the Debut Ensemble meets for three hours, the Premier Ensemble for three and a half hours and the Scholars between four and five hours, because the Scholars have elective classes that they can take, for example, they may take composition afterwards. We have guest speakers that come in. We just had a guest speaker from LA Opera who was lecturing about “La Traviata.” So the students can take these elective courses that will lengthen their day, but the minimum is four hours for Scholars. LAOpus: And those four hours are broken into two halves? LM: Yes. Part of the time is used for repertoire preparation for concerts. The students also participate in the Kodály training program. They also receive private voice lessons. The private voice lessons occur during their repertoire portion of the day, where students cycle out of the room in 10 minute intervals. We have the voice instructor in a separate classroom and the students cycle in and out of the classroom without interruption. In addition to that the students also take a musicianship class, where they study composition in the Fall/winter season from September through December; then they study conducting from January through May. So those are the two main focuses of study in addition to their vocal studies at the NCC. Every student receives all of that training. LAOpus: You’ve been in Santa Monica and West LA now since 2009, five years. But the NCC has grown quite a bit since then. Walk us through that history. LM: We opened in New York three years ago. In my very first rehearsal, I had four students, which was somewhat intimidating as arguably four students does not make a choir. But I trusted the mission of what we were doing. I worked with those four students and soon four became six and six became 15 and 15 became 30 and now we have about 300 students in New York in five different ensembles, in a span of just three years. In New York the program is structured very similarly to Los Angeles. We have two different divisions, a Junior Division and a Senior Division. In the Junior Division we have the same comparable Levels: Prelude, Minuet and Sonata. Then in the Senior Division we have a Debut Ensemble and a Premier Ensemble. We do not have a Scholars Ensemble yet in New York, but in time, we will. LAOpus: So you’re up to 300 membership in New York? LAOpus: Did we get a total number for LA? LM: It's roughly 300. So New York caught up with Los Angeles within three years. LAOpus: And then, I hear you’ve opened a third front! LM: Yes. Currently, we have our office, rehearsal and performance spaces reserved in Washington DC for the 2014-2015 season, and we’re in the recruitment process auditioning students. So we have students who will be auditioning from late October. We will see what applicants we get, but our goal is to start off with a Junior Division of the above-mentioned three levels and within a couple of years we’ll be ready to open a Senior Division. It takes a few years even to aspire to a professional sounding product. LAOpus: In New York, who is assisting you there? 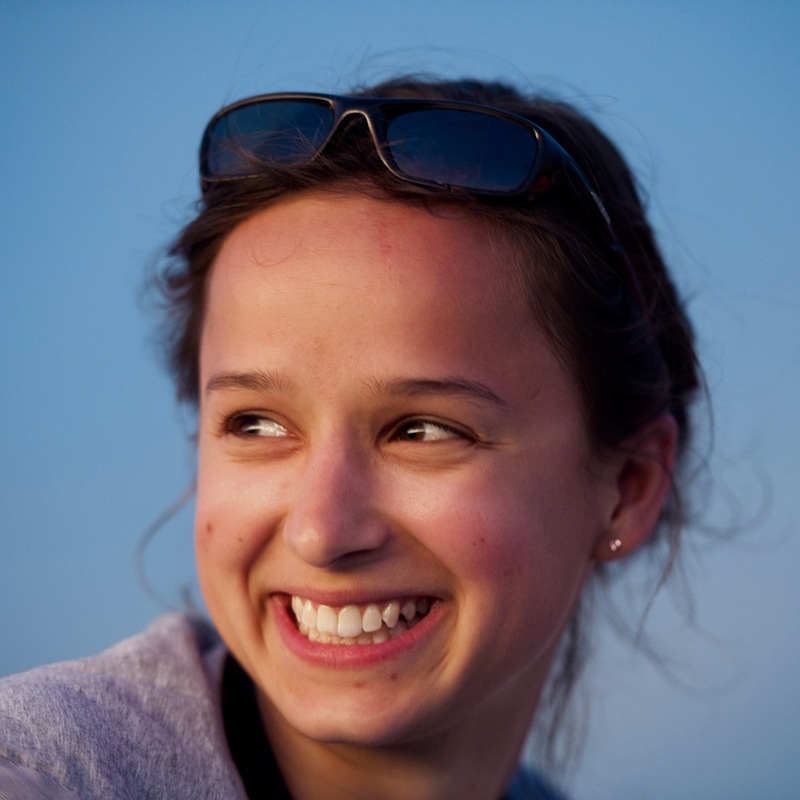 LM: Our Executive Director Cristina Demiany lives in New York. She travels with me Los Angeles on occasion. We have administrators who live there as well. We also have a full music staff: Kodály teachers, musicianship instructors, accompanists, so our full music staff live locally in New York. LAOpus: How is the staff coming in Washington DC or have you gone that far yet? LM: We have not started to hire directors or conductors because we want to see what kind of ensembles we’re going to have. Once we have that information we will list the relevant job openings. LAOpus: Looking back in time, you started off here in Los Angeles with the Paulist Choristers of California which was at home on the campus of the St. Paul the Apostle parish church which had been in residence for many years since its founding by Dr. Jon Wattenbarger, who has since deceased. 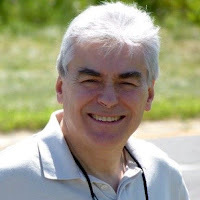 He was followed by several directors and quite a bit of turmoil in the choir which required some renegotiating what was once was an all-boy choir that became a children's chorus and then you came in as Director and immediately felt the need to expand the possibilities beyond the parish campus. LAOpus: Sister Stella Maria Enright, who was a cofounder with Dr. Wattenbarger back in time, had of course to approve. Was it difficult with Sister Stella? Did she agree with you right away that there needed to be a broadening of the membership base but also the expectations of the choir? LM: It was not difficult with Sister Stella because she and I have always been unified in our belief in the mission, which is to provide the highest level of education to as many children as possible. She felt very strongly that that was one of the prime objectives of the organization, so any changes that I was seeking to make in order to achieve that goal were wholeheartedly approved by her. LAOpus: Obviously you were the right person in the right place at the right time. That doesn't always happen but in this case, it was. What was the first thing you did after the decision was made to go forward with broadening the audition base as well as the goals of the organization? LM: We had to change nearly everything about the organization. When I arrived at the Paulist Choristers, it became very clear the aspirations of the group were very high, but it also became clear to me that the structure of the organization, the way that it was, could not successfully lead to those goals. So my job was to restructure the organization in a way that could make it successful. There are many things we had to change, including the name of the organization. We sought to choose a name that reflected very clearly what the organization was about without any needed explanation. LAOpus: In light of that, was it your plan already to expand outside of Los Angeles and when you chose the name “National Children’s Chorus,” did you have the vision that you were going to be doing that? LM: Yes. The name and the vision and the concept came to my mind all at the same time. I knew that something drastic had to be done to save the mission of the chorus and so on one September evening circling my block in New York, literally pacing for hours around the block, I saw the vision of what the organization could be and then the answers regarding what changes needed to be made come into my head. With the partnership of a few wonderful people, we put it together. LAOpus: It certainly has taken root. I don't know who other than you would attempt such a challenging goal especially with the time frame in which you’ve been able to do it. Locally there is a well-established choir located in Pasadena that has pretty much dominated the professional responsibilities whenever a children’s choir is needed by the Los Angeles Philharmonic Orchestra, Los Angeles Opera and so forth. I was privileged to attend your Spring concert which I very happy to hear. Your Choristers really sang well, and although I didn't get a chance tell you that afterward, I was very impressed. It's not the same sound as the Los Angeles Children’s Chorus that is a much lighter sound, a flutier sound, very much locked into the sound mostly produced by girls. But your group sang with very strong voices. They are well trained. It shows on stage that they know their vocal technique. None of the voices stuck out of the choral fabric, which is one sign that everybody's on the same page, using the same technique and are exceedingly well trained. There was no question that they knew the music. The very sizable audience at the Broad Stage reflected that in their applause. Repertory wise, it was a challenging program of very difficult and complex arrangements. LM: We've never done that before. Generally speaking, conductors will plan one or two gospel or American spiritual numbers in the program because they’re so demanding. We did an entire program of spirituals and it took a lot of energy to do that concert. I pretty much collapsed at the end of the concert. My arm was about ready to fall off after the first five minutes so to have gone on for the next two hours … there is no downtime in any spirituals! LAOpus: I was very impressed. The Choristers reflected the training and the quality of training that you're giving them and you and your staff deserve great kudos. 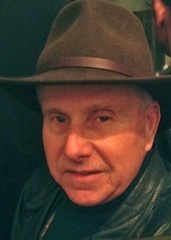 Repertory-wise, what are the New Yorkers working on now? LM: The New York Premiere Ensemble, which is our most advanced group, is attempting their first major work this season. It's going to be a challenge for them but I think they're ready for the challenge. They will be performing John Rutter’s “Dancing Day.” Up until this point they have sung a few pieces in two- and three- parts. But doing a full work in three- to four-part harmony with singers who have had roughly only two years of experience in the Chorus is definitely a tall order. LAOpus: Are you taking any Los Angeles children to New York to help out that performance? LM: No. They are going to be performing a major work on their own, flying free, so to speak. Currently, we're having very intense rehearsals, but I think that having such an ambitious goal greatly plays into the learning curve and forces the group to rise. LAOpus: That was really obvious here in the Los Angeles contingent. You have urged them to the next level continuously. But you have to. You can't rest on your laurels, especially if you aim to capture a chance at professional opportunities here in Los Angeles. Do you foresee NCC students being able and available to capture solo roles in LA Opera, for example? LM: Sure, absolutely! I think that the National Children's Chorus must first focus on it's own core curriculum. That is one of the main differences that we feel separates us from other children's choruses that serve primarily as an adjunct entity to the opera or an orchestra or adult chorus. We love those projects and we want to be a part of them but we would never do so at the expense of our core curriculum. We really try to create a very balanced and well-rounded year of experiences for our students, and we are open to professional collaborations with the Los Angeles Philharmonic and the Master Chorale and the Opera as they come along. We do have two very exciting such collaborations coming up. 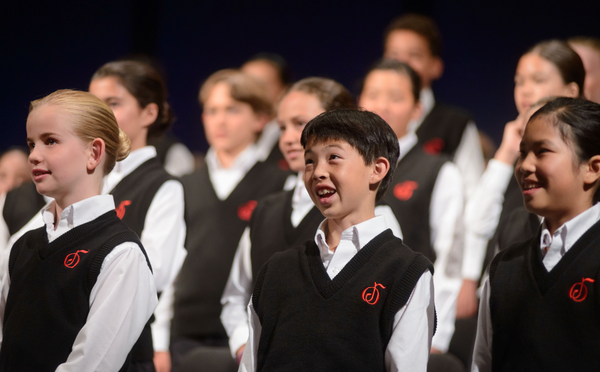 In one, the Los Angeles Philharmonic Orchestra will be presenting the National Children’s Chorus in the 2015-2016 season at Walt Disney Concert Hall in which the NCC will be featured in a premiere performance together with the American Youth Symphony. The NCC and AYS are co-producing the concert.